Dr. Bosse has been in private practice in Houston, Texas at Greenspoint Dental since 1997. Since he began practicing dentistry, Dr. Bosse has kept up-to-date with many continuing educational seminars, ensuring that his patients receive the most comprehensive and advanced dental care. Your teeth are always moving, which means new problems may arise. Braces are a way to treat many dental issues, including crooked or misaligned teeth, a misaligned jaw, or an improper bite. While typically associated with children and teenagers, braces are an option for adults as well. According to Delta Dental, over 1 million Americans over the age of 18 wear braces. Check out below the orthodontic treatment options available in the market today. Our team of dental experts will help you choose the type of braces that are best suited for your needs. Traditional metal braces are an effective way to treat crooked, crowded, or misaligned teeth, along with a misaligned jaw or an improper bite. If you need extensive treatment, such as jaw realignment, metal braces are the best option for you. Advancements in dentistry have resulted in metal braces that are smaller and more comfortable, providing you with a better overall experience. Once your teeth are properly cleaned and prepared for the treatment, your dentist will apply a bonding glue to the back of each metal bracket, which is then directly attached to each of your teeth. The brackets must be positioned accurately; once in position, a light is used to cure the bonding glue, securing the bracket in place. After the brackets are attached, your dentist will run a metal wire through the brackets and secure them with elastic bands. The length of the procedure varies with each patient; but it isn’t painful or exceedingly long. The dentist will periodically tighten the wires to continue straightening your teeth or realigning your jaw. Your progress will be monitored by the dentist to help determine the length of time you will need to wear the braces. We will provide you with instructions and tips on how to care for your teeth while wearing braces, along with foods you should avoid that could harm your braces. Pain and soreness will generally go away within a week of getting your braces. If your mouth is still sore after one week, don’t hesitate to contact us. 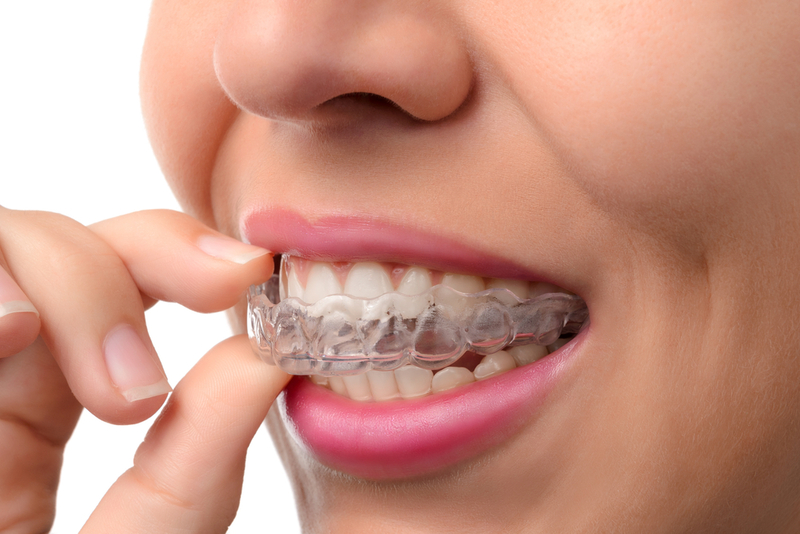 If you’re concerned about wearing metal braces, ceramic braces may be a good option for you. Ceramic braces are similar to metal braces, but the brackets attached to the teeth are clear or tooth-colored, making them much less noticeable. These braces are more expensive than traditional metal braces, but they’re a good option for those who are concerned about the appearance of metal braces in their smile. Ceramic braces are an option available only to adults. The brackets used in ceramic braces are larger than metal brackets and they are more fragile. Because the bands used to fix the metal wires to the brackets are clear, they are more vulnerable to staining. 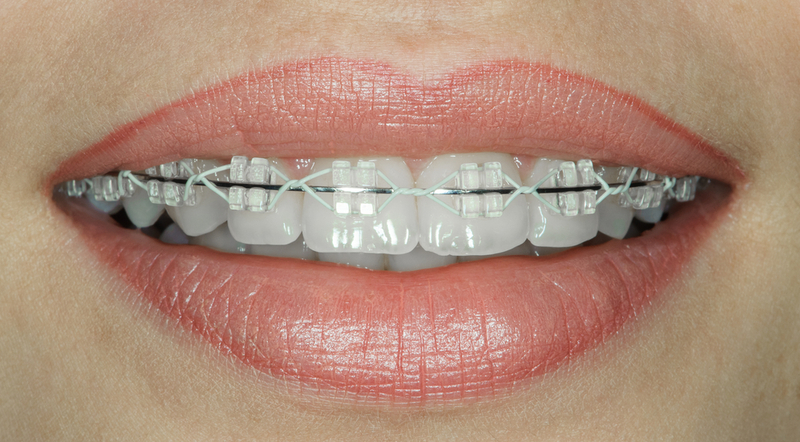 This type of braces requires extra attention to oral hygiene. If you need extensive treatment, metal braces will be a better option because they are stronger than ceramic braces. If you want straight teeth faster than Invisalign is able to provide, you should consider ceramic braces. When you have your braces removed, the retention phase of the treatment begins. 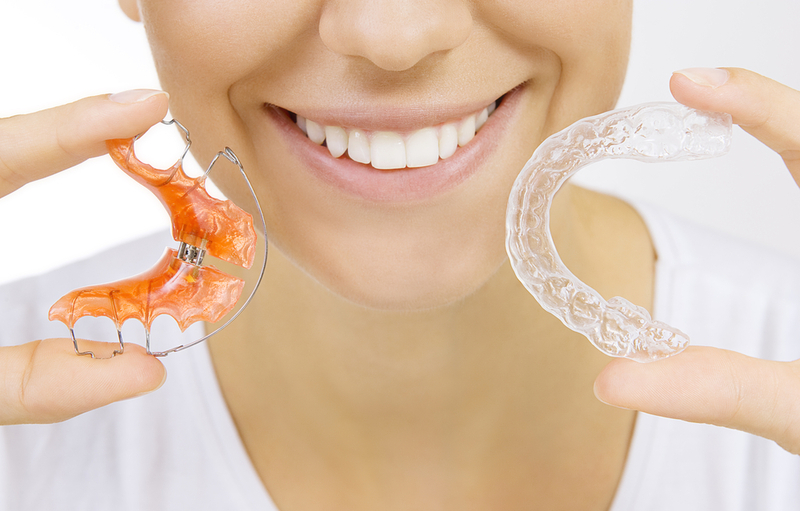 You will be fitted for a retainer to keep your teeth in alignment. Your retainers will be worn for a minimum of 24 months. This is an important phase in the treatment because if it’s ignored, your teeth could shift out of place and require another set of braces to repair. One of the most common types of retainers is the Hawley retainer, made of acrylic and metal wire. Made from impressions of your teeth, the retainer will fit snugly in your mouth as the wire and acrylic keep your teeth aligned. Similar to Invisalign, an Essix retainer is a removable, transparent tray that fits over every tooth. This type of retainer doesn’t have a wire, but uses the molded trays to keep your teeth straight. Bonded lingual retainers are permanent retainers that are attached directly to your teeth. Because they are bonded to the teeth, you must be careful when chewing; incorrect biting can break the bonding material. Regardless of the type of retainer you choose, it’s important to clean it on a daily basis and store it in a safe, sanitary place. Braces are a way to invest in your dental health, fixing existing issues and potentially preventing future problems. 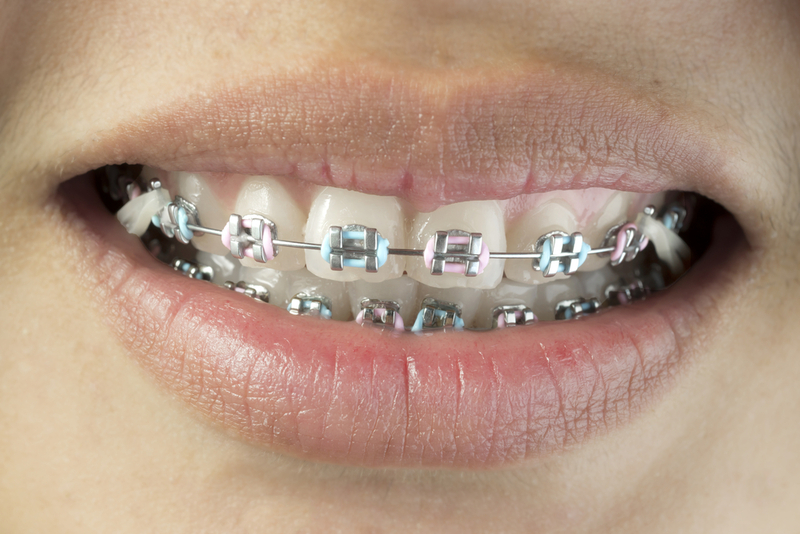 Traditional metal braces generally cost between $3,500 and $6,500. Ceramic braces generally range between $4,000 and $7,000. Check with your insurance provider to determine your coverage. Insurance companies generally don’t cover orthodontic treatment for people over the age of 18, but they may cover up to 50% of the costs for children under the age of 18. You may want to consider purchasing supplemental dental insurance if your plan doesn’t help cover the costs. We are committed to helping you pay for your orthodontic treatment and we will gladly work with you to set up a payment plan. Enter your phone number and we will connect your call.